... as well as the amazing lobster bisque.Also, the lobster bisque is a must. 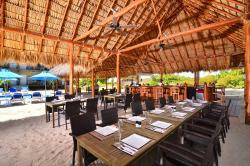 ... is outdoors and quaint and romantic.The beach bar is very inviting and lots of comfy seating. 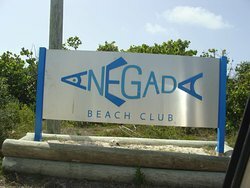 Anegada Beach Club offers toes in the sand dining in paradise! 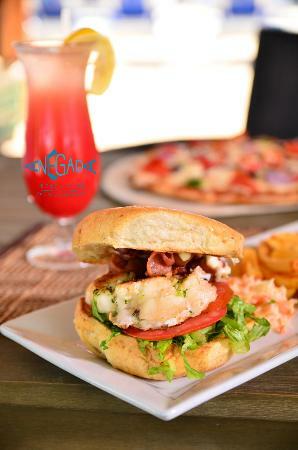 We serve fresh lobster, conch and seafood with a Caribbean flair, plus delicious lunches like our famous BLLT sandwich (a BLT with grilled lobster! ), pizza, burgers, tacos and more. 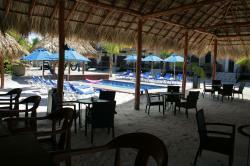 Enjoy poolside dining under our palapas, or relax in a hammock with a tropical drink. Thanks for the review! We are glad you have enjoyed everything so far, and hope we continue to impress and help you relax. See you next year! Loved the nachos. The burger was good. The atmosphere as nice. Near a beautiful pool. Would have preferred to eat down by the water ocean views in the bar cabana, but it was fine. Staff was okay. Thanks for the review! We hope to see you again. 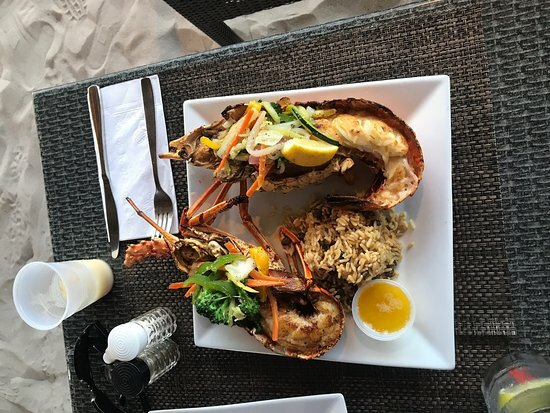 If you like eating with an ocean view, try The Lobster Trap. Excellent grub as well, and the dining deck is right over the water. 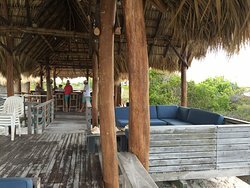 Anegada Beach Club is our go-to place when we want to go out for lunch or dinner. Their menu has a wide range, and everything on the menu is top-notch. The staff is very friendly. Thank you for the very nice review! We always enjoy having you here. You should try our breakfast sometime, it's also top-notch! Thank you for the nice review and recommendation! We look forward to seeing you in the spring. 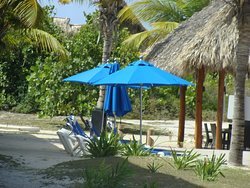 Be sure to book at least 3 months in advance for the Palapa Retreats. Cheers! 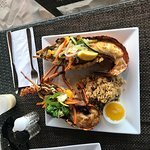 Great choice for Conch, Lobster and more! Thanks so much for the nice review and description of our restaurant. We're very happy that you enjoyed it all! Had a great time visiting while sailing. A top notch resort. Food for lunch was off the hook. Service was good, food very good. Looked after us great. Great facilities. We headed over on their free shuttle bus and spent the day by the pool getting good service by the bar with some great munchies to keep the day going! Thanks for coming, and for the nice review! We hope you will come back to see us soon. 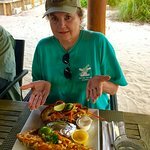 Get quick answers from Anegada Beach Club Restaurant staff and past visitors. 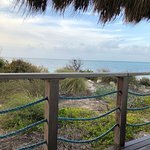 We are going to Anegada next week. Leaving for St John Jul 8. I've been trying to decent flights (we're staying on St John and have reservations on Anegada from Jul 13 to 15) however having difficulty finding reasonable flights. What company/flight did you use and if I may ask - the rate. We have four adults in our party. Thanks a ton! Hi! Try Ace Flight Center or VI Airlink for reasonable flights. That's who I use on a regular basis. Ace is around $550 one way to Anegada (5-passenger plane) and VI Airlink is around $275/person round trip but they must have 4 seats sold to make the flight, so if it's just 2 of you and there are no others on the flight, it will be the same as Ace if you are doing the round trip. Email me via our website if you still need help. Cheers!